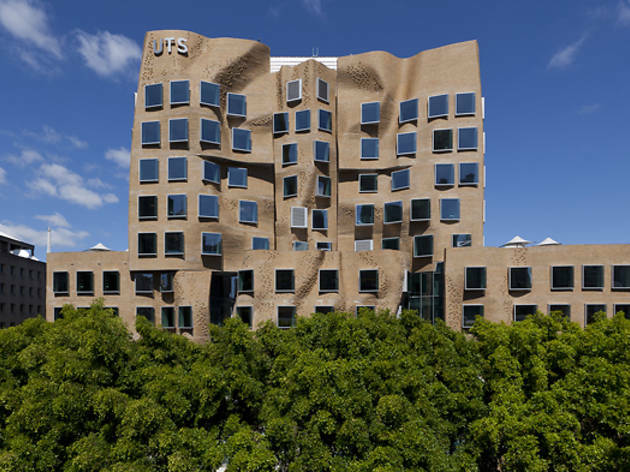 After five years of public speculation about the design, this Frank Gehry building was opened in February 2015, at which time Governor-General Sir Peter Cosgrove (in reference to media commentary) described it as "The most beautiful squashed brown paper bag ever seen". The building has a 5 Star Green Star rating from the Green Building Council of Australia, with sustainable design elements including the timber used, energy and water efficient fixtures and services, and 20,000 litre rainwater tank. 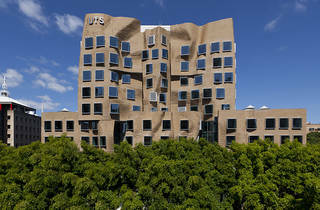 The Dr Chau Chak Wing Building is the home of the University of Technology Sydney's Business School.